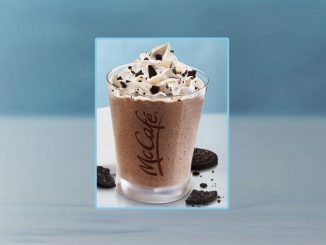 McDonald’s Canada looks to disrupt the spring coffee drinking season by once again offering $1 any size coffee in select provinces through April 29, 2018. 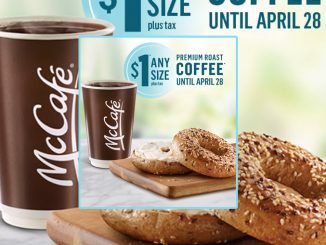 The $1 limited-time promotion is valid on the purchase of any size McCafé Premium Roast Coffee, including the extra-large size. 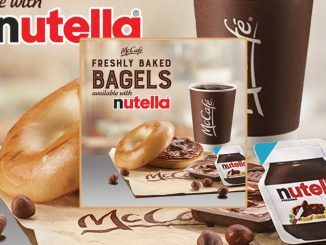 The timing comes on the heels of a new Leger Marketing poll that suggests Canada’s iconic coffee-and-doughnut chain Tim Hortons fell from fourth place to 50th on a ranking of 100 companies that Canadians most admire. 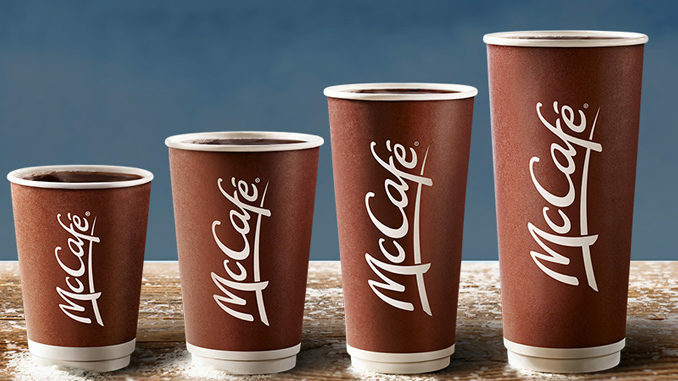 $1 Any Size Coffee is available at participating McDonald’s locations across Canada through Sunday, April 29, 2018. Why are the provinces who are offering the $1 coffees not listed?